Images and sound, which respond to our touch, create the feeling that we are interacting with something that is actually there. We talk about going to a web site. We tap buttons, open folders, and select choices from menus, and aren’t bothered by the inconsistency with real world analogs as we drag windows and surf the web. I don’t know the story behind this image sent to me via Twitter by “Brett” — is it an original in drawing or native digital creation? or were 140 characters too short for attribution? There is a strength in the Tim Berners-Lee vision of the web as “always a little bit broken” allowing for us to post these disconnected fragments which cause images and video to act like language, spread virally and owned by no one, in direct contradiction to our copyright laws. I also feel a loss that there was never widespread adoption of the Ted Nelson model that he envisioned when he coined the word “hypertext” — every link could let you dive into its source and references were a “transclusion” — instead of copying, everything would be by reference. 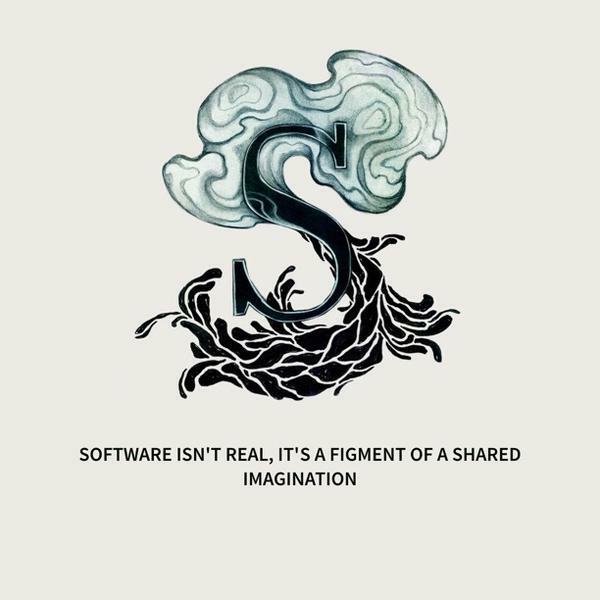 We need to intentionally draw real world connections in this strange, fictional world of software we create. Even the so-called users of software create this world of code and data that we inhabit.